Looking for an innovative idea for a girl’s night out? The brainstorm, (a special movie night) by two of the young women in our church, provided just the setting for a rip-roaring time! 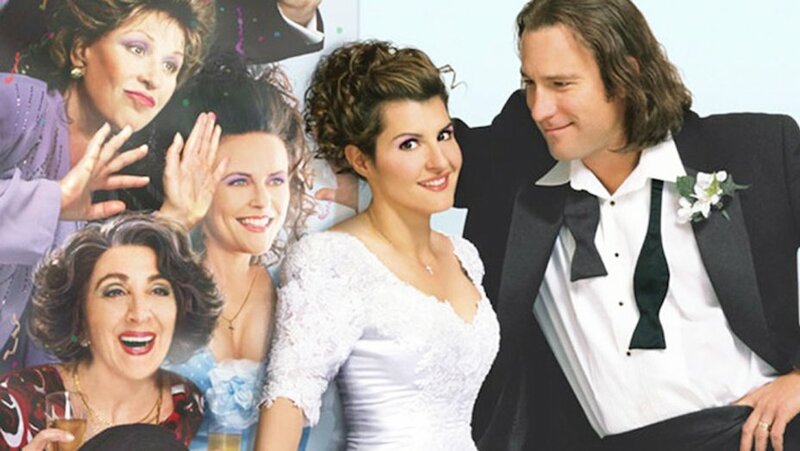 With the impending release of My Big Greek Wedding 2, what better movie selection than My Big Fat Greek Wedding 1? To help set the mood for the evening, we (spanning ages 21 to 86) gathered in a home to feast on moussaka, greek salad, and pita bread/hummus. The movie, as entertaining as it was fourteen years ago when it made its debut, was just the ticket for a relaxing time out. At least one in our midst was only seven years old back in 2002, so she watched it tonight for the first time. Packed with classic lines, this move made us both laugh and cry. Family struggles of acceptance, woven throughout the storyline amid the humor, stirred emotions. Another movie line: “Don’t let your past dictate who you are, but let it be part of who you become” certainly gave us food for thought.